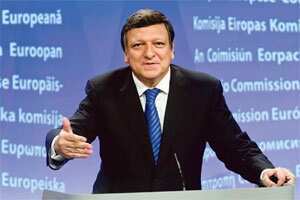 Seeking support: European Commission President Jose Manuel Barroso. Photo: Jock Fistick/Bloomberg. Brussels: This week’s summit of the Group of 20 industrial and developing nations in Cannes must match Europe’s crisis-resolution efforts and address long-standing issues that hamper the global economy, key European leaders said in a letter to their G-20 partners late Saturday.